Who is ready to enjoy the month of September?? A lot of learning, a lot of fun at Connect English! OMG!! 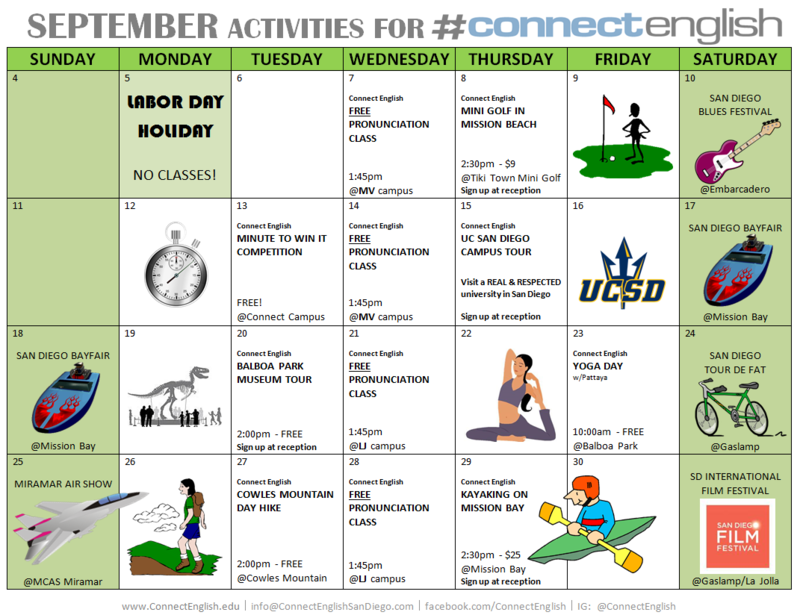 You guys won’t believe how A.MA.ZING our calendar of activities is. 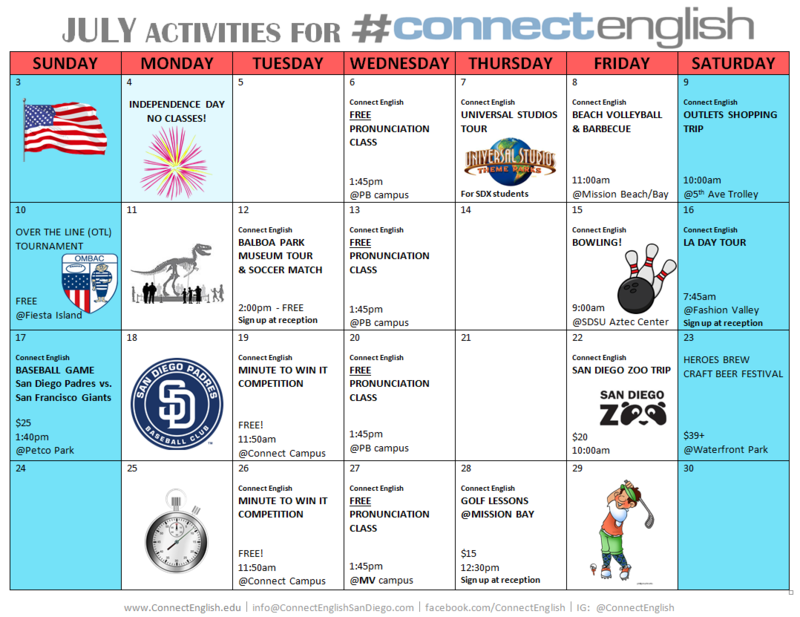 Learn a ton and have lots of fun at Connect English. Let’s enjoy Summer together. Come to study with us! !